I can't believe the time has come for us to part ways already. It seems like only yesterday that I woke up on day one of our beautiful relationship, and had a disgracefully loud coughing fit that made me sound like a middle aged builder called Bruce, with a heavy reliance on nicotine and alcohol. It's safe to say, we didn't start on the best terms (thanks for that one, swine flu), but I grew to love you, and granted, you have treated me well ever since. I'm a firm believer that life is one long learning curve, and this year has been no exception. I've learnt many-a-fine-thing; that my favourite pair of leather boots turn into a huge health and safety hazard when walking on adequately damp pavements, that being on TV really does add half a stone (never again), and that working in an office environment makes you particularly fond of custard creams. And bending paperclips. Even today, I learnt that 'wilder beast' is in fact spelt 'wildebeest'. I have also become a mastermind in maintaining oxygen levels whilst wearing painfully restrictive control pants, texting at 426.2mph, and staring in a lecherous manner at any man that bares the slightest resemblance to McFly frontman Danny Jones. I will work on taming the latter, I promise. As with previous years, there have been moments of deliriousness, happiness, hysterical laughter, grumpiness, sadness, and obsessive scotch egg eating. Being re-tweeted by Piers Morgan back in March was a particularly beautiful moment, however it isn't quite on par with some of the other fabulous things that have happened this year. I somehow managed to get the full time job I'm in at the moment, albeit I am almost certain that all involved parties regretted this moment from the second I strolled in without realising the top half of my dress was unbuttoned. Hello tatty-bo-jangles, goodbye all remaining credibility! I also saw 'The Specials' live with Daddy B, attended my very first pantomime with dear old Granny B, and spent the day letting my creative juices run wild at Innocent Smoothie's Fruit Towers in the big smoke. I never expected that little old me would ever get the chance to write a piece for one of the best loved companies in the world, let alone spend a whole day chinwagging/eating cake with the men behind it all. And Richard Reed, if you're reading, you quite possibly made my entire year! Has anyone ever told you how handsome you are, by the way? I found my very own Where's Wally?, and jogged with him along the seafront at ridiculous o'clock in the morning, fell in love with Ed Sheeran, developed a passion for staring at dusty, ancient books, found my name tattooed across Kirsty's finger, ate the best bolognese of my life (Jamie's Italian, you dreamboat! ), went for dinner with a dishy interior architect, went for drinks with the South East's answer to Dappy (don't ask), put on half a stone, and thought endlessly about putting my Christmas cards in the fridge. 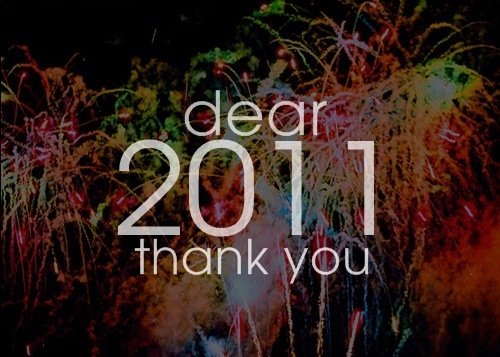 2011, you have, in many ways, been a fantastic year for my writing. I've found myself spending many hours scrawling away at my quaint and dinky desk, doing all sorts of little projects for all sorts of fantastic people/causes. Without a doubt though, the creation of this blog has been the icing on the cake, and quite possibly the best decision I have ever made. There's nothing I love more than being able to delve deep into the realms of my brain, and write with brutal honesty about the beautiful chaos that is life, as I see it. Admittedly, I will probably remain single for the length of my blogging adventure, (writing about potential suitors tends to be a bit of a deal breaker), but my pen is the ultimate love of my life, and this blog is the beating heart of my passion, so being a first date junkie will have to do! Knowing that there are people mad enough to actually read my blog is the most invaluable feeling in the world, and I am oh-so-excited to ensure that I waffle on throughout 2012 in the same witty, wild and wonky manner. Overall, you can consider yourself a recipient of endless Kathy B style affection. 2011, you have helped me grow in confidence (great for me, not-so-great for related parties...), helped me to value the most important things in life, given me some incredibly odd and hysterical memories, and once again blessed me with the ability to skinny dip and not get caught/arrested for indecent exposure. Although, in my defence, female anatomy is a beautiful thing, if you allow yourself to look past my 10ft love handles and milky whiteness. I cannot wait to get stuck into 2012, try new things, visit new places, make new friends, experience the giddy euphoria of first dates with new men, continue to chase my planet-sized ambitions, and of course, spend endless evenings drinking good wine, contemplating the universe. As far as I'm concerned, dreams are mine for the taking, and I am oh-so-ridiculously excited to see what the New Year will bring. It's been fun, and I will toast you at least 4673 times tonight in my wonderfully merry state. I'm sorry I have to leave you for 2012, but it's definitely time for a change. Life, you are the best thing that has ever happened to me! Let's get crackalacking on the latest instalment! PS: May I take this opportunity to wish every single one of you a New Year filled with love, laughter, happiness, wildness, walrus appreciating, and fridge raiding. PPS: Special thanks to my incredible family, my adequately attractive and wonderful best friends' (Tan, Madge, Han, Ash, Corey, and Mr 71 miles), and the beautiful, hilarious and distinctively odd girls at the office. The year would have been less magical without you guys. Also, to every single human being I ever did meet. You inspire me every day. My goodness I am sat reading this and when I got to the office part I didn’t half giggle to myself (again), I was sat bending paperclips as I work in an office too – deary me, so funny!! You have had such an amazing year and I am so glad that I have got to know you through your blog and you really are one of the most genuine people that I know on the whole blogging world and all that jazz! Your posts ALWAYS make me smile, giggle and cry which is just what I need when I need a pick me up, Kathy is the girl for this. 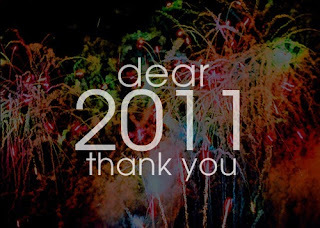 I hope that 2012, is simply the BEST year for you and that you gain so much more than you did in 2011. I cannot wait to follow your journey with you through blog posts and endless random Tweets, we’ll have a ball.